We had a great summer working with Joplin little ones during bi-weekly workshops at the Joplin Public Library, 2nd Saturday Workshops at St. Paul’s Preschool and at community events across Joplin! Van Gogh even made a few appearances at the Joplin Farmer’s Market to work with little artists while their parents shopped. When we weren’t out in the community creating with kids, we were preparing student-designed murals for installation within schools this fall and finalizing plans for the Art Feeds Gala on August 16. We offered 9 workshops reaching 240 children and hosted about 10 community events with the art mobile where we were able to create with over 800 children. The first annual Joplin Jazz Camp was a huge success! Students who attended had the opportunity to participate in a number of different classes including: jazz history, world percussion, jazz theory, ear training/transcription, combo, and big band. At the end of the camp, the students and faculty presented a final recital of the repertoire they learned during the week. We will definitely be back next year, so be sure to take advantage of this fantastic offering for our area jazz students! (Please note that strings and all other instrumentalists are welcome in addition to the regular jazz ensemble participants) See you next summer! 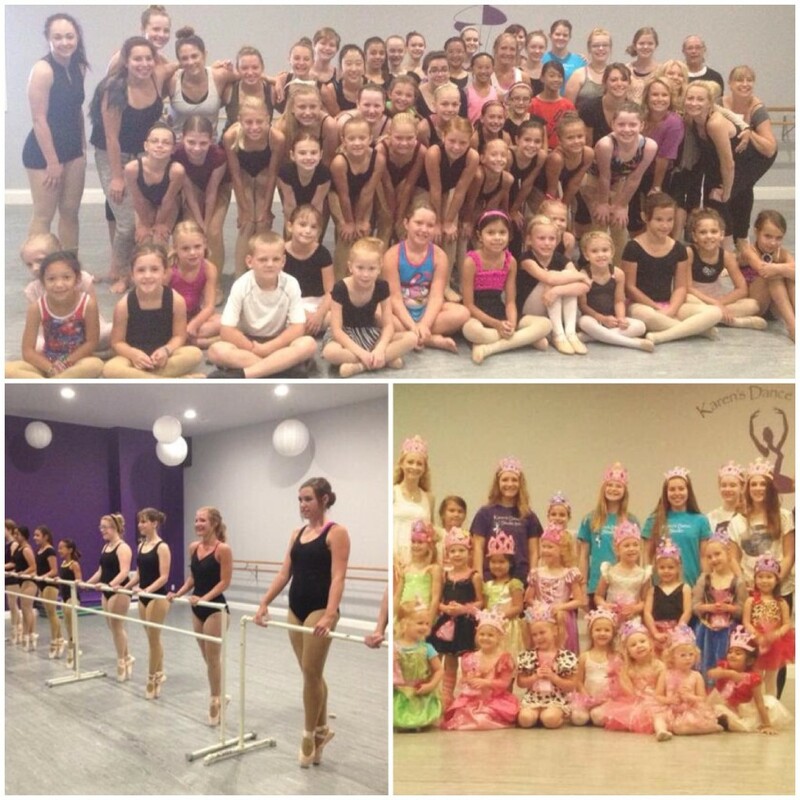 Karen’s Dance Studio Summer Programs were filled with education, fun, laughter, and an increasing love of dance! We started out the summer with our exciting Summer Dance Camps including Princess Camp, where we immerse our little dancers in a world of princesses, games and dancing. We gave our older dancers an avenue to strengthen their ballet technique and build on a strong foundation in Ballet Camp. In July we had our 5-week summer session with a sampling of the classes we have to offer in our fall session, which will run September 2nd – May 2015. The summer ended with National Dance Day, where we held an in-house convention of master classes. Students had the opportunity to further build and strengthen their dance abilities by taking classes from some fantastic dance instructors/choreographers who have danced all over the country! We look forward to another great year at Karen’s Dance Studio. Bring your family and come join ours! This year we broke new records in attendance at Spiva summer camps. Nearly every camp reached capacity, bringing our total attendance to more than 320 kids! From pre-schoolers to pre-teens, there was something for everyone. 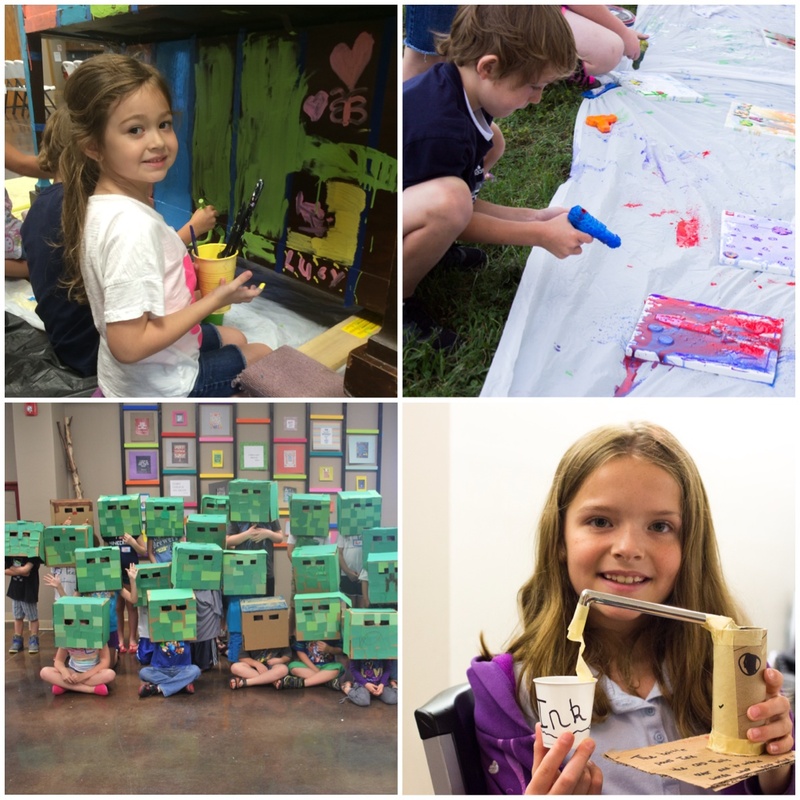 Camps were age-based with the 6-to-12-year-olds focusing on specific art mediums, from drawing and painting to fused glass and clay. New this year was printmaking. The campers enjoyed learning about the many different types of printmaking and even got to silk screen their own camp T-shirt! Preschoolers had fun under the sea and creating rainbows, plus having adventures with furry visitors during Animal Planet camp. Among our special guests for that camp were a puppy, a chicken, a hedge hog, a rabbit, and a pig named Daisy! We also had the best teachers ever! Pre-school teachers Carrie Cavitt, Lacey Santillan and Derek Norton have gained a reputation for adorable, fun projects designed for little hands. New and exciting things were happening with our older campers, as well. They got a taste of new and exciting art mediums, thanks to teachers Jordan Murdock, Sarah Serio and Fred Mintert. Thanks again to all of our fabulous teachers and helpers. 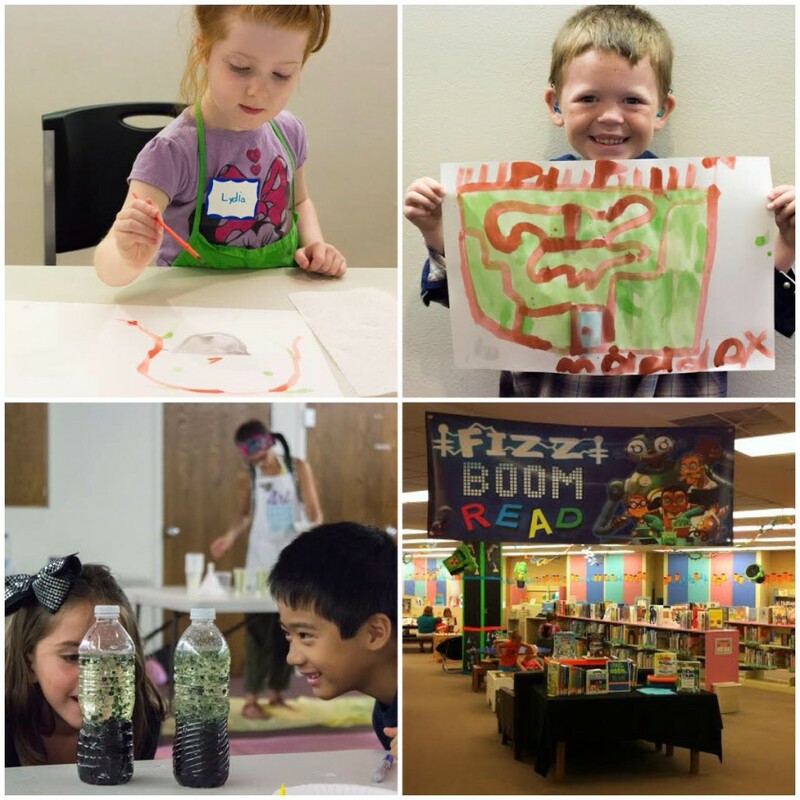 The Joplin Public Library’s “Children’s Summer Reading Club” offered children, no matter their residency, the opportunity to explore the world of science through programs (63 to be exact! ), books, music, art, and prizes. It also provided the added bonus of allowing children the chance to earn two FREE books—we gave away over 700! This summer’s “Fizz, Boom, READ!” science theme left plenty of room for incorporating STEAM (science, technology, engineering, arts, and math) into the reading fun, and families were encouraged to read together and complete a set of fun summer activities—like experimenting with spices and herbs to create a new popcorn or ice cream flavor. Over the course of the jam-packed nine week program, almost 4,000 people participated in programs, with 452 children earning free books to add to their home libraries. Some of our favorite memories include: the neon orange, green, and blue decorations that transformed the Children’s Department; an Art Feeds’ five senses workshop where participants painted with Kool-Aid, snacked on sweet popcorn, and got messy with sensory snow; therapy dog readings to Ricky and Dudley; and our mad science-inspired ending celebration that included a wild and wacky hair craft, a scavenger hunt, and funny face painting. All photos courtesy Art Feeds. Six of the seven weeks that made up this year’s Summer Discovery Academy at Thomas Jefferson Independent Day School included courses in the arts for students in grades Pre-K through 12. More than 150 students from around the four states attended 17 enrichment programs focused on the arts. With offerings covering music, studio arts, filmmaking, digital art, and stage performance. 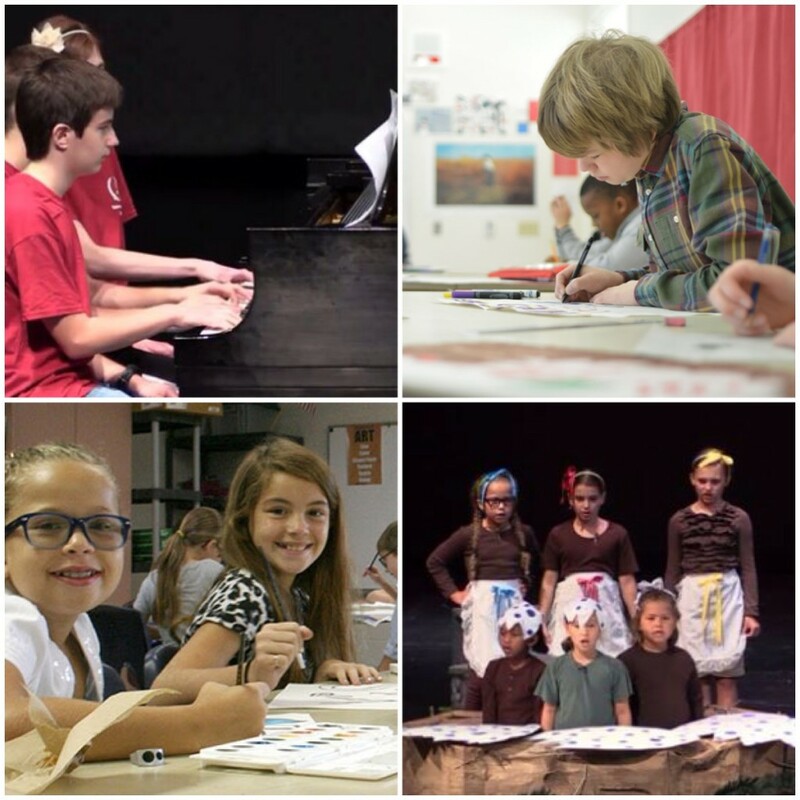 Other summer offerings at TJ included academic courses, foreign language camps, robotics courses, and athletic camps…but the most popular courses were those focused on the arts. During the first week, students in the the MoShakes Summer Shakespeare Academy studied several of Shakespeare’s works and learned about drama, literature, the history of Shakespeare’s life, monologues and scenes, stage combat, sets, and costumes. They finished with a performance in the TJ Concert Hall on June 6, 2014. During the following week, students in the Summer Choral Music Institute honed their vocal skills, and performed a concert on June 27. The Intermezzo Piano Academy, in session during the week of July 8-12, helped beginner and advanced piano students to improve their playing and their understanding of music. 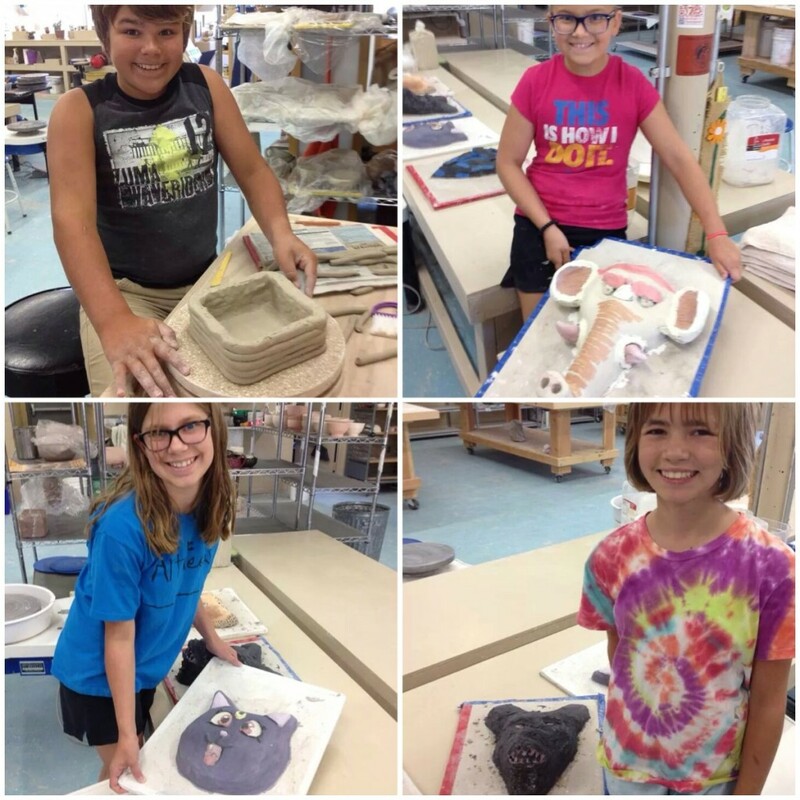 A ceramics class for students in grades 3-5 took place during the same week. The Joplin Jazz Camp’s inaugural class was at TJ during the week of July 14, and more than 20 students from area schools participated. Videos from the performances by the Jazz Camp, Intermezzo Piano Academy, and Shakespeare Academy are available at www.tjeffschool.org/ondemand. Ceramics classes for middle and high school students as well as advanced drawing and painting classes, were also popular during the week of July 14, and the Showtime for Kids course — the summer musical — was filled up during the week of July 21. 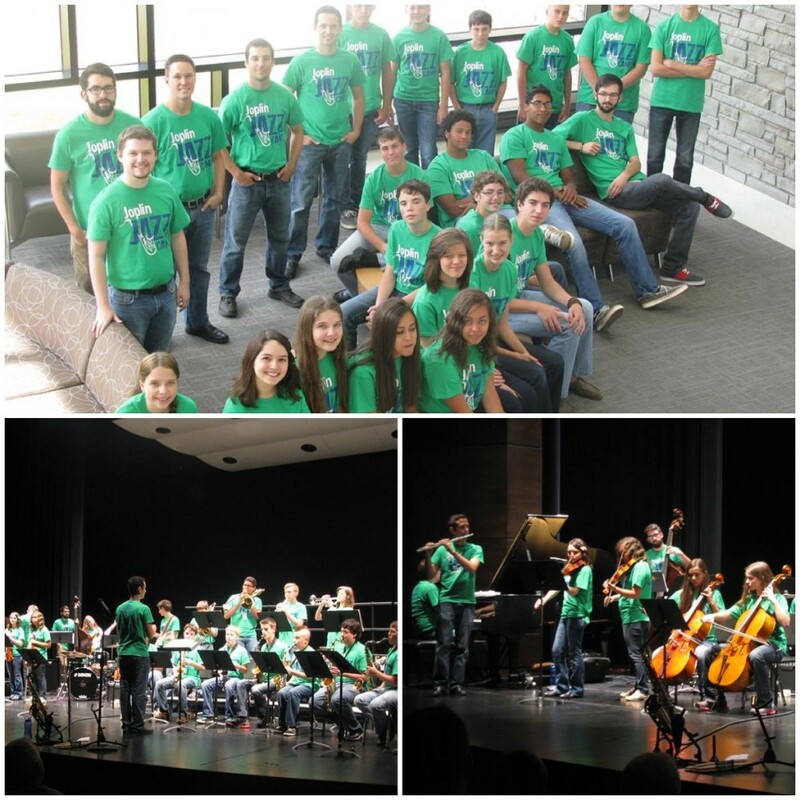 Students from TJ and other area schools performed Dinosaurs After Dark on July 26, 2014, in the TJ Concert Hall. The performance was at the end of the week-long Summer Discovery Academy course called “Showtime for Kids.” The students, in grades 1-5, were supported by Middle School students in a different class that ran simultaneously. The Middle School students designed the sets, helped with costumes, and ran the lighting and sound systems. More than 25 students participated, and the course was directed by Mrs. Molly Williams and Ms. Donna Bowman. Video from the performance is available at www.tjeffschool.org/ondemand. Digital filmmaking, ceramics, and studio art classes filled the last two weeks of the program. 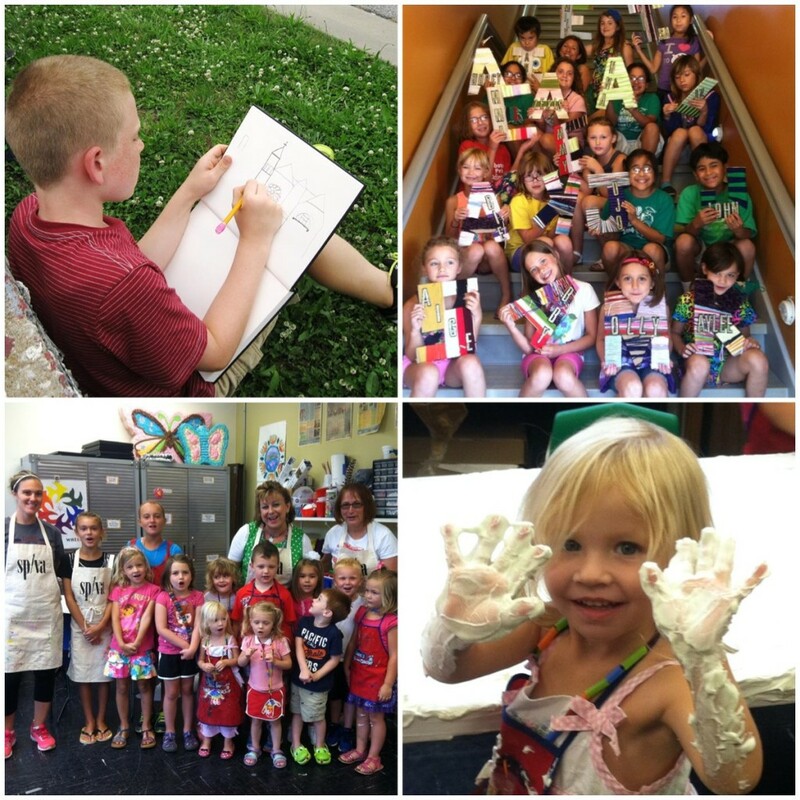 For more information about Arts offerings at TJ’s Summer Discovery Academy, visit www.tjeffschool.org/summer. Summer camp was fantastic! Students started out learning how to throw and make hand-built pots. The second day we made masks. The kids created hump molds and then slab-built their mask on top of the mold. They also had fun with coil building, reverse tie dye t-shirts, and hand-made whistles out of clay that really worked! I was completely blown away by the natural talent these kids have! We just helped guide them on their creative path. The camp was held from 9:30am to noon, Monday, Aug. 4th through Friday, Aug. 8th. 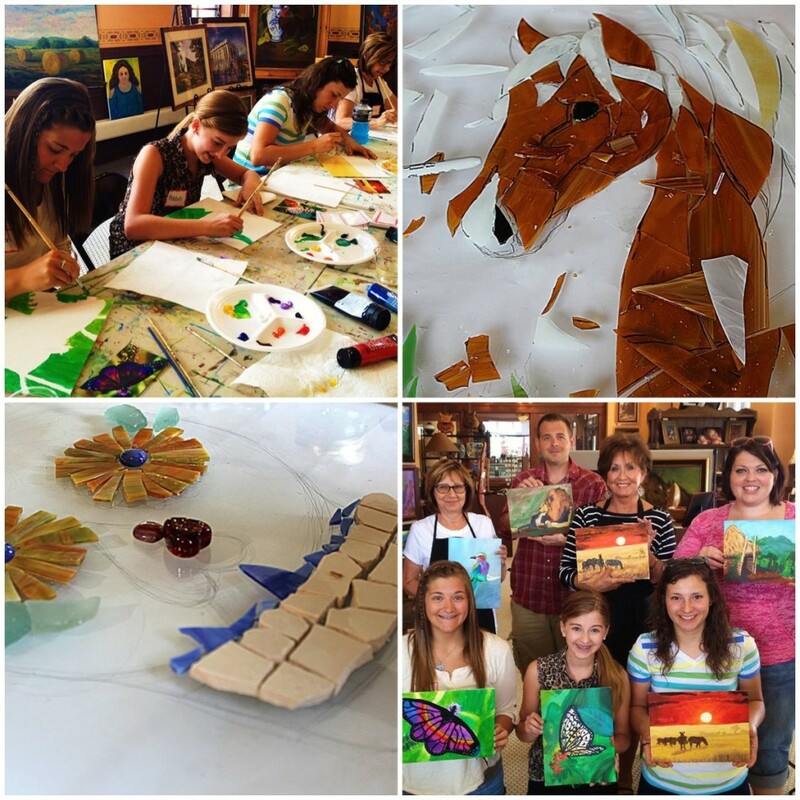 Summer Mud Clay camp was taught by Geoffrey Kunkler and Heather Grills. I got to assist and I enjoyed every minute of it! The Lightning Beetle glow-in-the-dark jar lid program was held on June 7 at Wildcat Glades Conservation and & Audubon Center. I had six people, two participating adults and the rest were children. We covered the lids in clay and learned several polymer clay techniques. While the clay cured, I shared a storybook about lightning beetles and information about the beetles, where to find them, and how to provide a good habitat for them in their own yards. 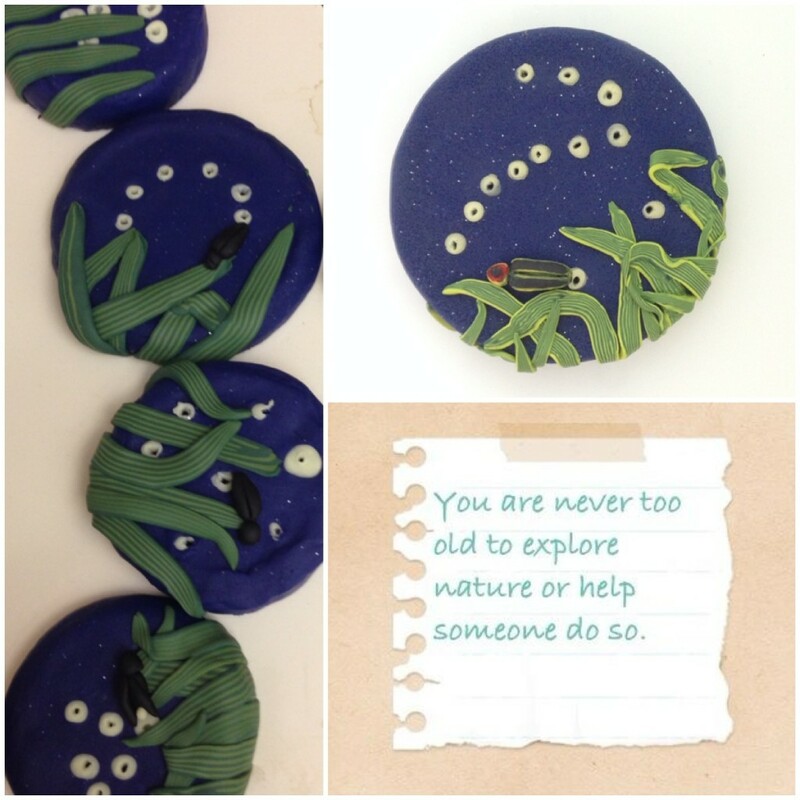 Each family received a jar lid tutorial, basic clay information, a color sheet, and lightning beetle educational booklet.